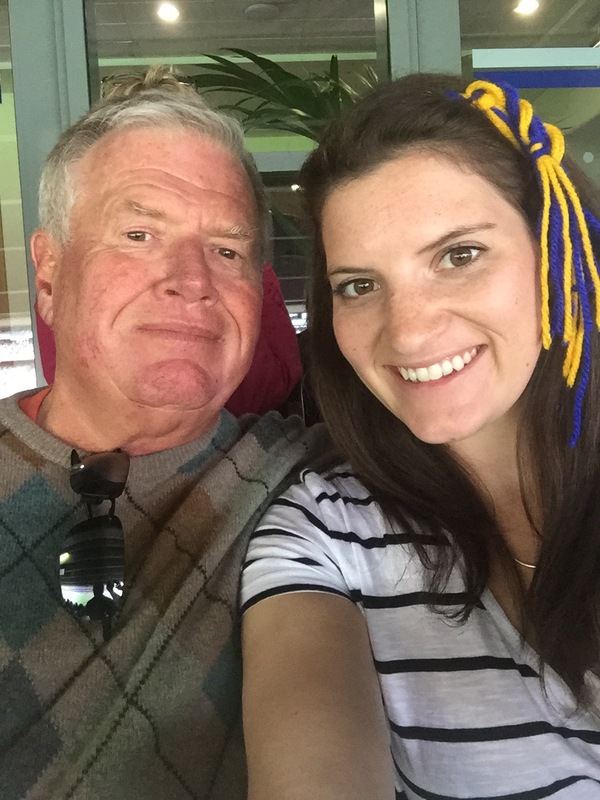 I feel like I should refer to my weekend in Dublin with my dad as a “bucket list weekend.” After all, I a) did things I had been wanting to do (see Once and visit Howth) and b) did my favorite things (Temple Bar, Croke Park). I like weekends like that because, while exhausting, they are jam packed and very memorable. 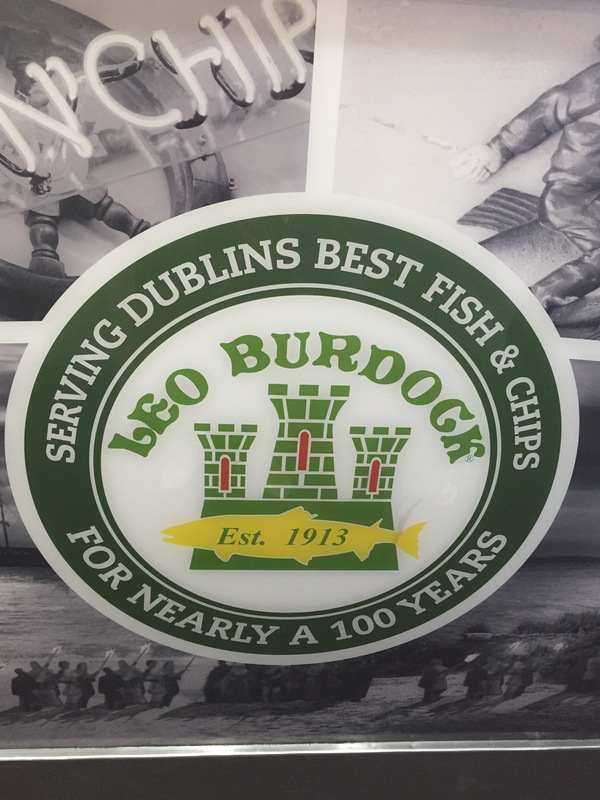 My dad and I made a plan to meet in Dublin one weekend because I wanted to see Once and thought it would be great to see it in the city where it takes place. I flew over after work on a Friday just for the weekend and we definitely made the most out of the short time. 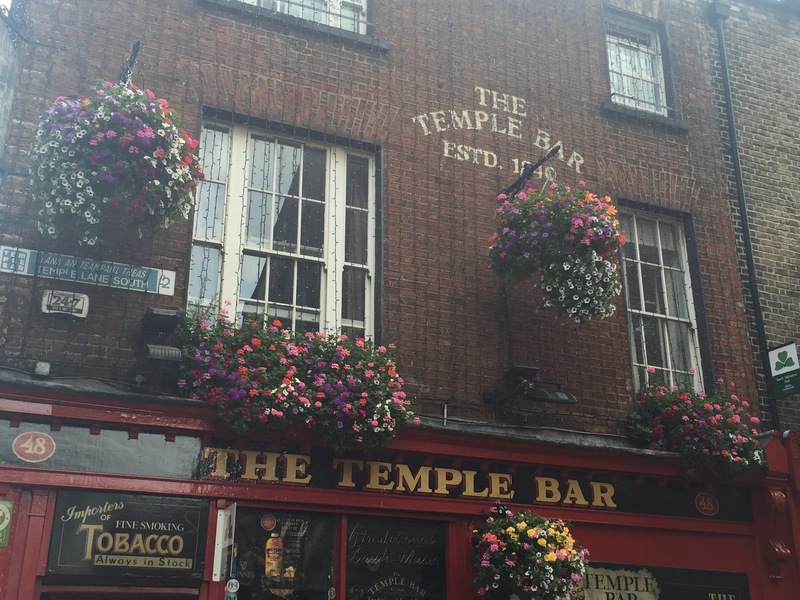 He picked the Temple Bar Hotel as our accommodation and it was…loud. Situated directly above a bar on the main street of Temple Bar, we could hear partying into the early hours of the morning. The beds were so comfy and the location so perfect though that I barely minded. 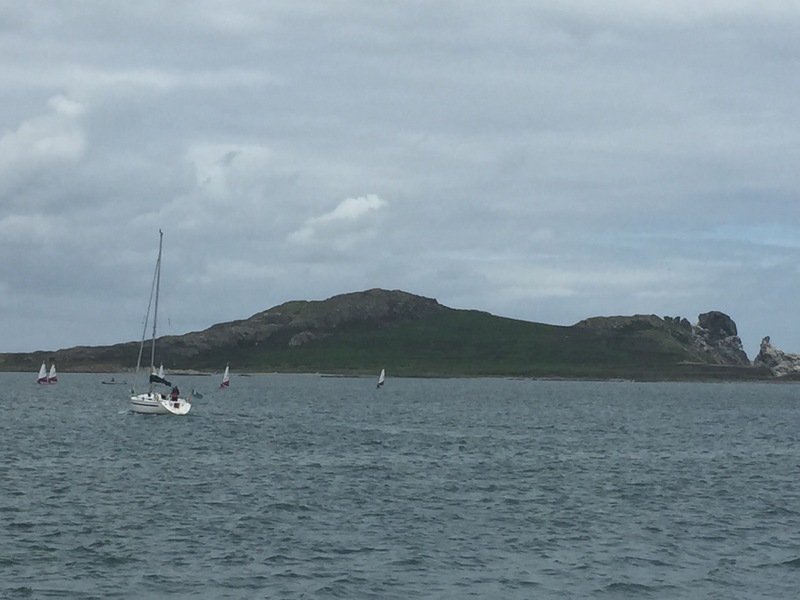 On Saturday, we took the train to Howth, a small fishing village on the coast. I had been meaning to go since I studied in Ireland in 2013, but just hadn’t gotten around to it. So, we went out there, grabbed breakfast,walked for a bit, and ended up in the pub. Shocker. 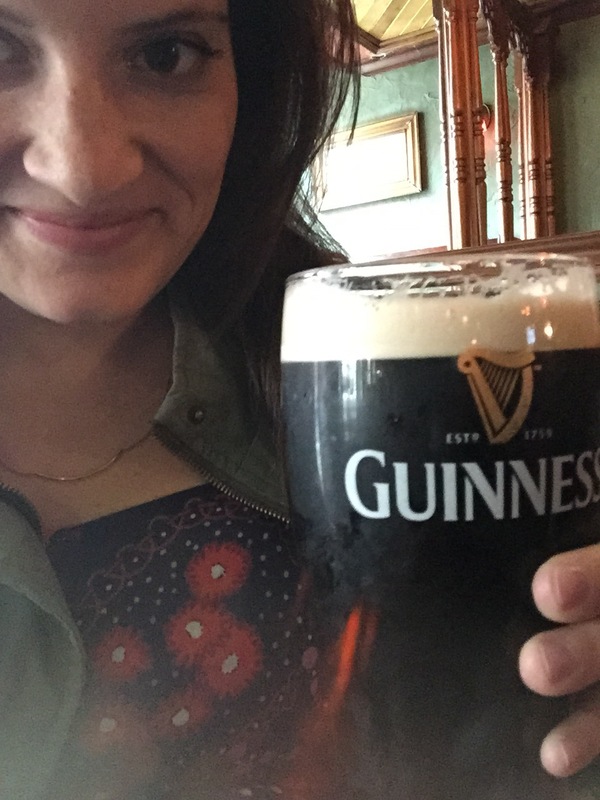 When we got back to Dublin, we freshened up before heading to the Arlington Hotel (one of our favorites) for a snack and to watch the Ireland vs. Scotland rugby match. From there, we picked up fish and chips for dinner and went to see Once at the Olympia Theatre. I’m a huge musical nut. I don’t know what it is about them, but I try to go to as many as I can. I absolutely loved the story line of Once and the production of it was amazing – they had a real bar on stage that audience members could grab drinks from during Intermission! They did a great job slipping in some comedy and the songs had me ready to download the album immediately. I’m definitely going to be seeing it again. 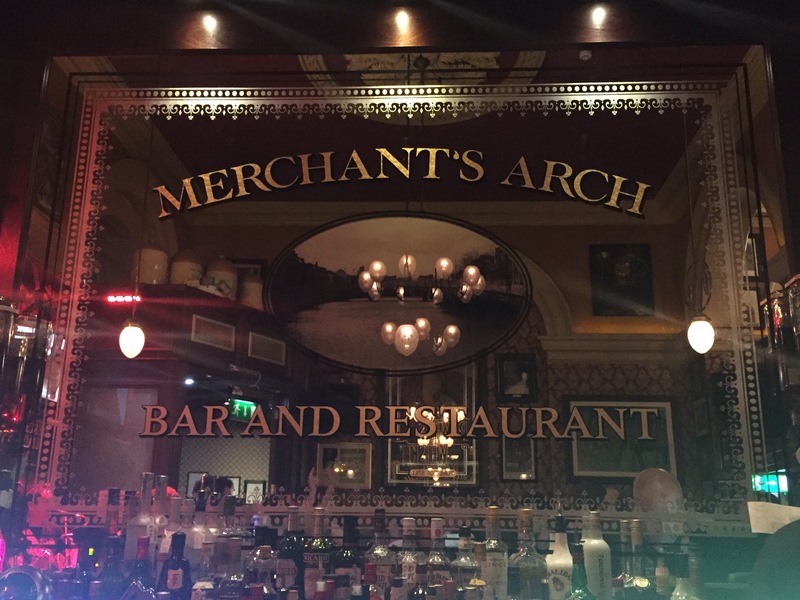 After the musical, we went to Merchants Arch – my absolute favorite pub in Temple Bar – for a quick drink before bed. They have the best live music, so it was the go to during my summer abroad and it’s the first place I go when I visit. The next day, we did a bit of wandering around before going to Elephant and Castle for brunch. Brunch turned into pub time at Auld Dubliner (another favorite). 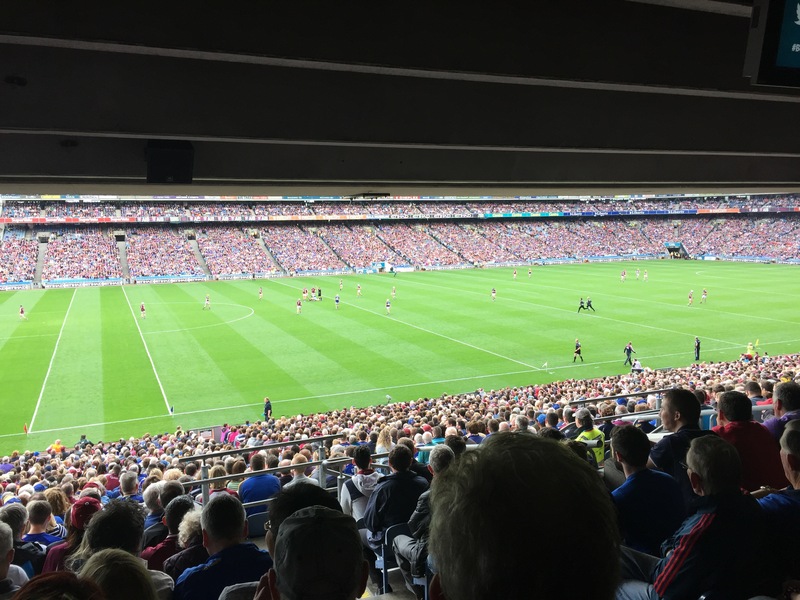 Next on our list was the hurling match – Galway vs. Tipperary. It is believed that Tipperary is the Hogan homeland, so we were ready to sport the blue and gold (maybe yellow, but in Hogan fashion, we go with blue and gold. Beat Army!). I went to hurling and Gaelic football matches frequently when I was in Ireland, but this was my dads first time and I’m so excited I had the chance to show him the if reduce Croke Park atmosphere. 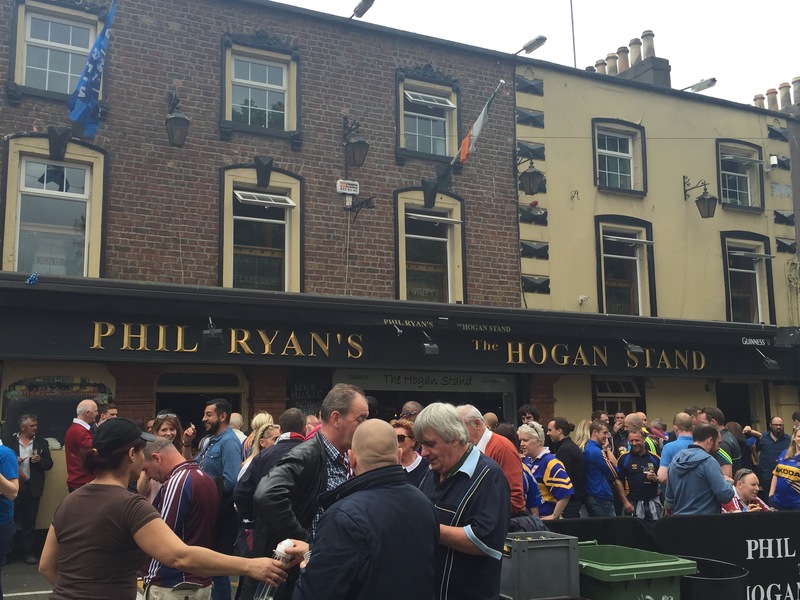 There is a pub near Croke Park called Phil Ryan’s at Hogan Stand. Naturally, this is the only pub I have ever been in before/after matches. We went to Phil Ryan’s for a couple of pints before taking our seats in Hogan Stand to watch the action. I don’t think I’ve ever seen my dad so entertained. We go to sporting events all the time (baseball, hockey, football, everything) but hurling is unlike any of those and he was so into it! I had such a blast watching and being in that environment again, and even though Tipperary lost, it was definitely the highlight of the trip! After the match, we went back to Phil Ryan’s, which is always best after a match. Then, we took on Temple Bar for our final night! 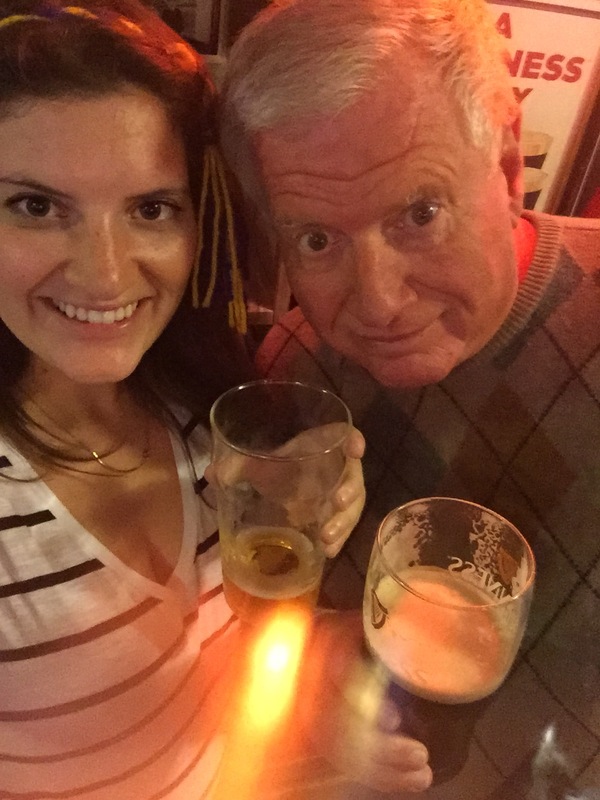 I am such a fan of Dublin and am so happy I had the chance to pop over with my dad. He is in England next month so I’m already trying to find out what we can squeeze into that weekend!